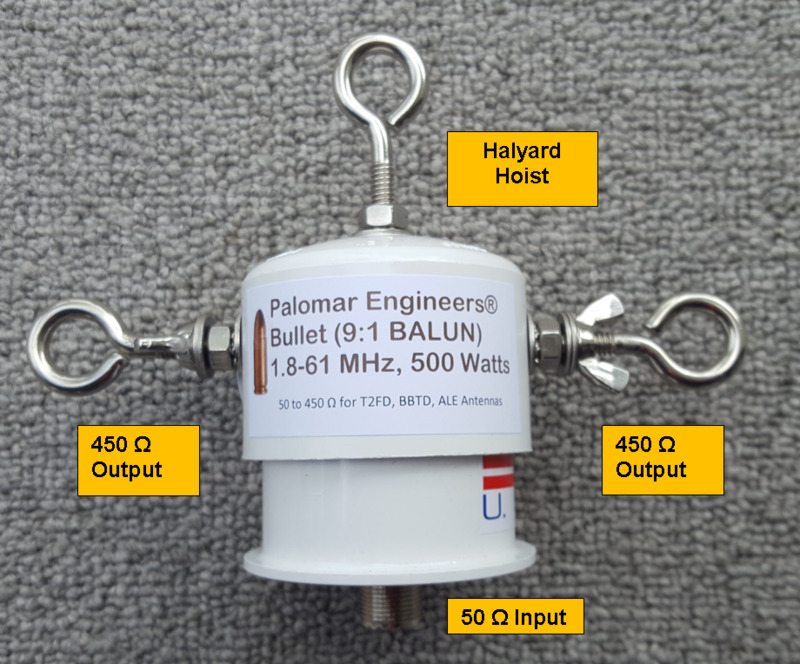 The Bullet-9B is a dual core balun with a compact enclosure (looks like a bullet) enclosure that is lightweight and easy to transport for your fixed/portable ALE, T2FD or BBTD antenna systems. 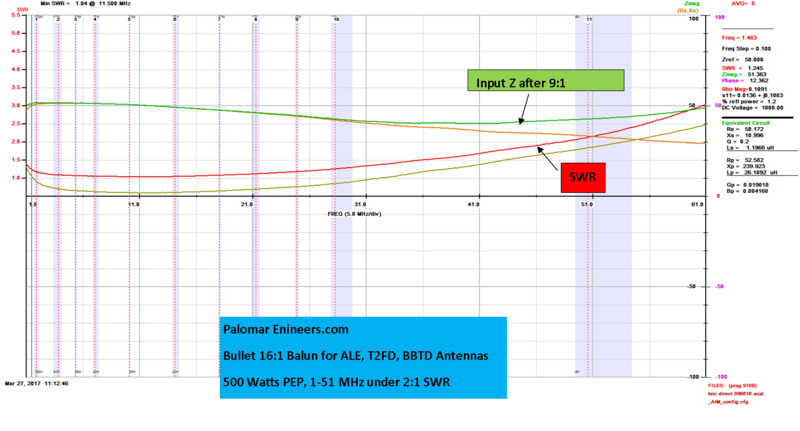 Also useful for low power rhombics and other wire antennas needing balanced 600 ohm output. Halyard hoist at top of balun for convenient attachment point. Input is via SO-239 coax connector and output with side eye bolt output.Use a 500 ohm non-inductive termination resistor for the T2FD when using this balun.